Home › Promotions › 15% off select Summer styles! 15% off select Summer styles! No more waiting! 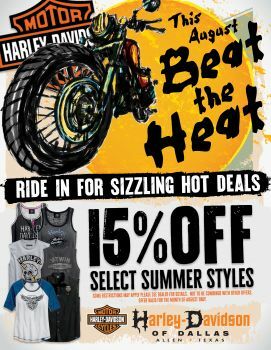 Get the H-D® Summer style you've been waiting for!